No matter how prepared you are, your bags may still end up in the land of lost luggage. The airlines do have your back (in this situation), as they should if you are paying a fee for the privilege of checking a bag. Alaska Airlines introduced a program that offers passengers a $20 discount on future flights or 2,000 frequent flyer miles if your bag does not arrive at the carousel within 20 minutes of the plane being parked at the gate. 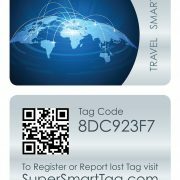 This program is great as it shows the airline taking accountability for the service they provide. Nothing says you are sorry like some free miles or a $20 discount toward future flights. In a world with almost infinite ancillary fees, it would be nice to see more consumer-friendly services like this. Nobody likes being required to pay $20 (or more) to check luggage, but if airlines are held responsible for providing said service then it seems fair for them to offer travellers the same compensation in return if a problem arises. 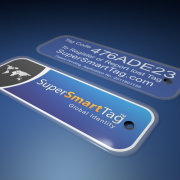 Ultimately, if you do have a SuperSmartTag attached to your bag your chances of getting it back quickly is much higher!